Visiting Pittsburgh this summer? 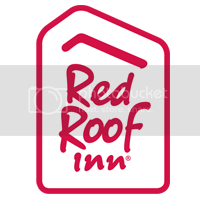 Stay at Red Roof PLUS+ Pittsburgh South – Airport with rates starting at $69.99, saving $100, based on a mid-scale competitor’s rate. Stay at Red Roof PLUS+ Pittsburgh South – Airport offers spa-inspired bathrooms, plush high-end bedding, free airport shuttle service and more! The money you save can go toward celebrating the cities 200th birthday. The 200th birthday celebration brings together locals and visitors from around the US and consists of a fun-filled and exciting line up of events. Experience fireworks, the Bicentennial Day Parade on July 9th and more fun events all for FREE! The Steel City was also recently ranked one of the top Foodie destination in the US with a new crop of innovative restaurants that are changing the epicurean landscape. Visit the Pittsburgh Zoo & PPG Aquarium; general admission for adults is just $16.00. Explore Mt. Washington for a scenic stroll and a city view for free. Order the grilled Provoletta and Lomo (filet mignon) at one of Pittsburgh’s best restaurants Gaucho Parrilla Argentina for less than $30.